Started by metmike - April 14, 2019, 10:12 p.m.
After his first meal on the moon, the 22nd century astronaut said the food was good but the place lacked atmosphere. How does the man in the moon cut his hair? Eclipse it. Orion’s Belt is a big waist of space! Black holes are most commonly found in black socks. Are you sure you want to delete this post: More physics jokes? By carlberky - April 15, 2019, 2:29 p.m. Although my impulse is for a bit of Uniform circular motion, my current girlfriend has resistance to the idea. She claims that my lack of energy and power results in far from sound momentum. 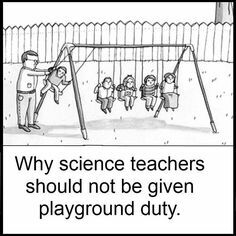 Are you sure you want to delete this post: Re: More physics jokes?